A Russian Fairytale come to life. 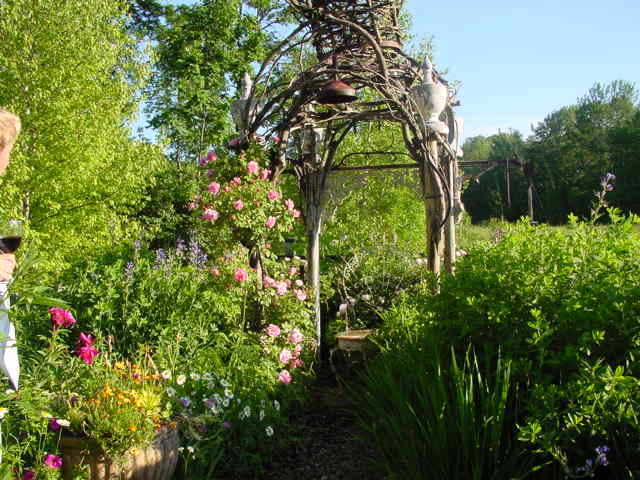 Based on a fanciful interpretation of old Slavic architecture, it is composed of salvaged ancient barn beams and thick, rustic slabs cut from old pine logs. 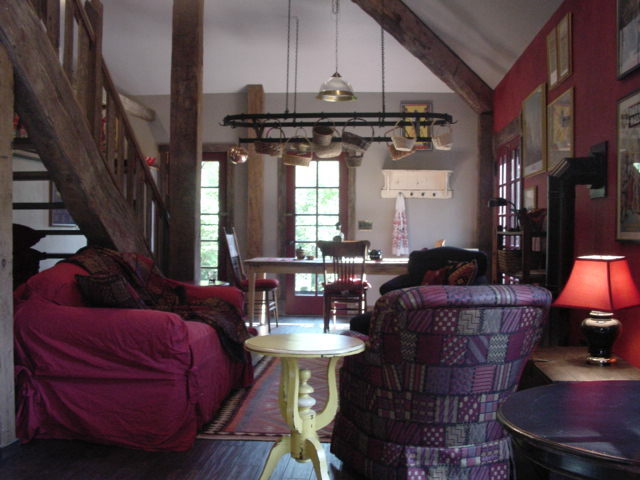 Its soaring living room admits views of the park-like setting through seven French doors and windows. 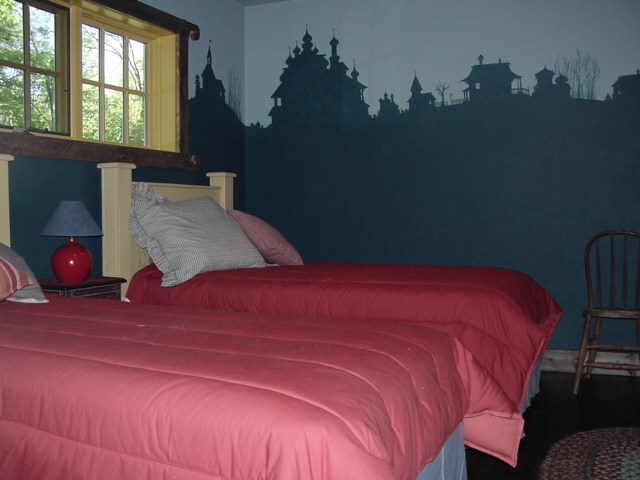 The bedroom, uniquely decorated with silhouettes of a Russian village, has two single beds. 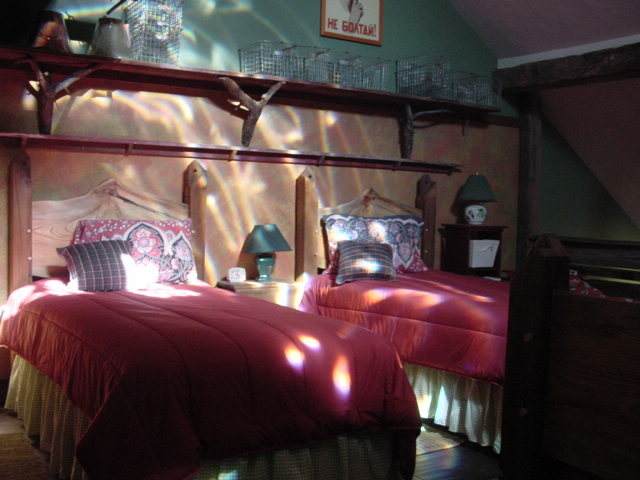 The sleeping loft has three single beds. 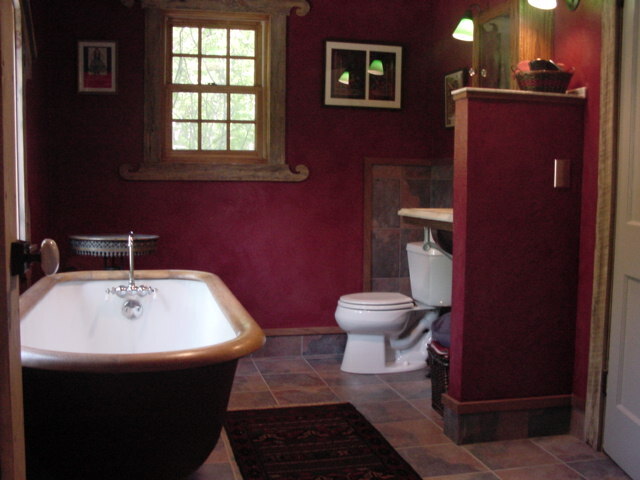 There are two full baths, including a splendid, antique, claw-foot, soaking tub. There is a fully equipped, modern kitchen. 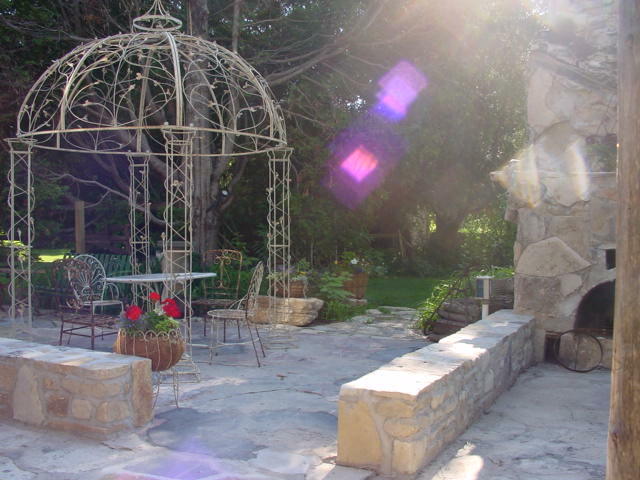 Alongside the building is a patio and ornate gazebo built around the romantic stone ruins of a former farm building. With its outdoor fireplace (for chilly evenings and marshmallows), the patio is the place for gatherings. A BBQ is also furnished. 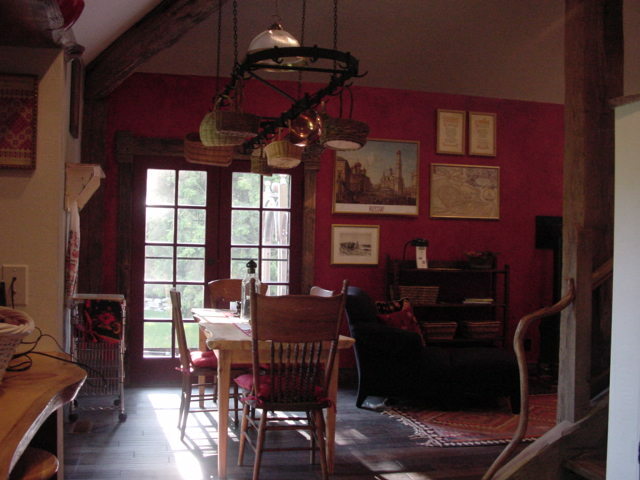 A whimsical collage of barnwood and wooden fragments fills one wall of the living room. 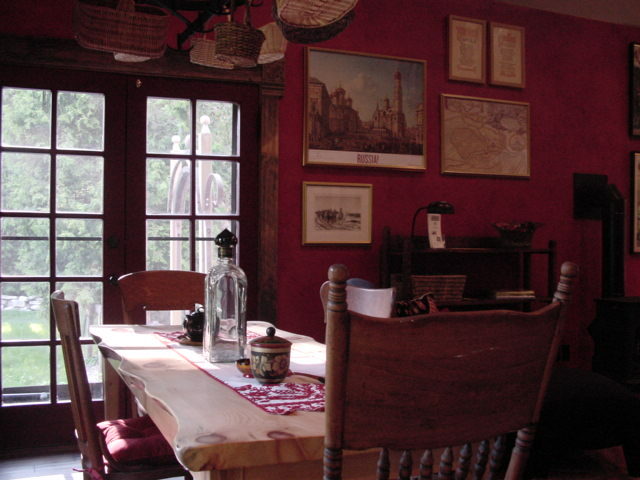 Vintage Russian posters and art decorate the remaining walls. 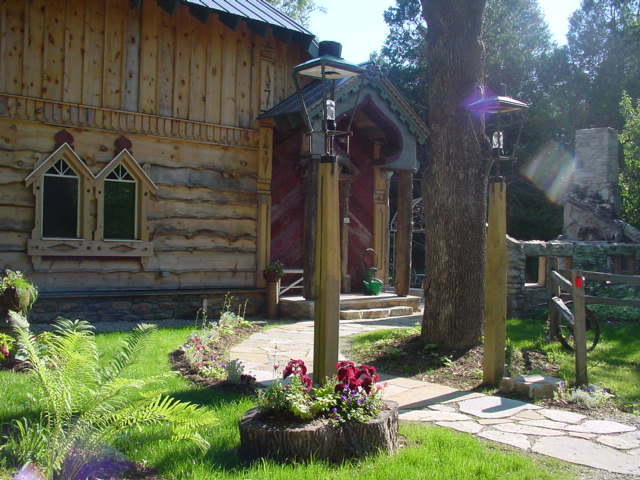 The cottage is heated and air-conditioned for all-season use, and a gas fireplace adds a cozy center of interest.